To provide top quality professional nutrition services devoted to health and wellness with a commitment to exceptional customer satisfaction, utilizing appropriate resources, with coordination across the continuum of care. The Nutrition Plus Difference prides ourselves on delivering the highest quality of care to our patients and clients with satisfaction guaranteed! 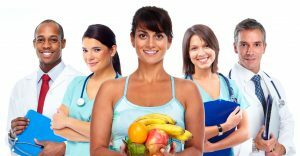 We proudly employ over 30 of the most-qualified Registered Dietitians/Nutritionist and healthcare workers throughout the southeast region, allowing us to meet your unique healthcare needs and nutrition-based goals. We require our staff to have at least two years experience. However, the average consultant we place has five years of experience or more. Our Registered Dietitians have received advanced degrees and designations to enhance their background. Our consultants are highly qualified and can make an immediate impact on the team to operational standards. Before we match a consultant to your facility, we will take the time to understand your facility needs. Small enough to provide you personalized service. Big enough to handle your needs. Christie Nicholson, a licensed, registered dietitian, founded Nutrition Plus in 1998. She is a North Carolina native, and attended East Carolina University, where she earned both her Bachelors of Science and her Masters of Science in Nutrition. As an East Carolina University alumnus, she continues to support nutrition education, by starting the Nutrition Plus Scholarship. The growth and development of dietitians, the staff who work with her, and the personnel in communities have all been an integral part of her career. Providing direction, leadership, training and solutions to staff, as well as clients, is always a challenge she excels in. Christie belongs to several practice groups of The Academy of Nutrition and Dietetics. 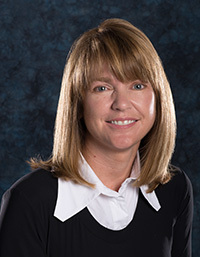 She now serves as the Chair of the North Carolina Board of Dietetics and Nutrition. Christie and her husband enjoy traveling and outdoor activities with their two children.